Having a hard time coming up with a topic this morning I put the call out on Twitter to see what people have been curious to know about Vancouver’s past. There were some suggestions about Joe Fortes or the Great Fire and an abundance of other questions that would be interesting to research. I figured I might as well start a new series this week that will answer about a dozen of these history questions I received on Twitter. kristyaudrey: @Miss604 I want the details on the underground tunnels- where, why, how and when can I see them? There is an old CPRail tunnel under downtown and in some spots it’s only about 6 meters below the surface. CPRail used the 1,396-metre-long (4,579 feet) tunnel for nearly 50 years. The current SkyTrain tunnel from Stadium-Chinatown through to Granville, Burrard, and Waterfront is the old CPR tunnel. To accomodate SkyTrain the single-rail track was rebuilt and a new entrance was made. Archives Item#: CVA 152-6.04, Dominion Photo Co. The original entrance, that was visible until just a few years ago, is now hidden behind Costco. 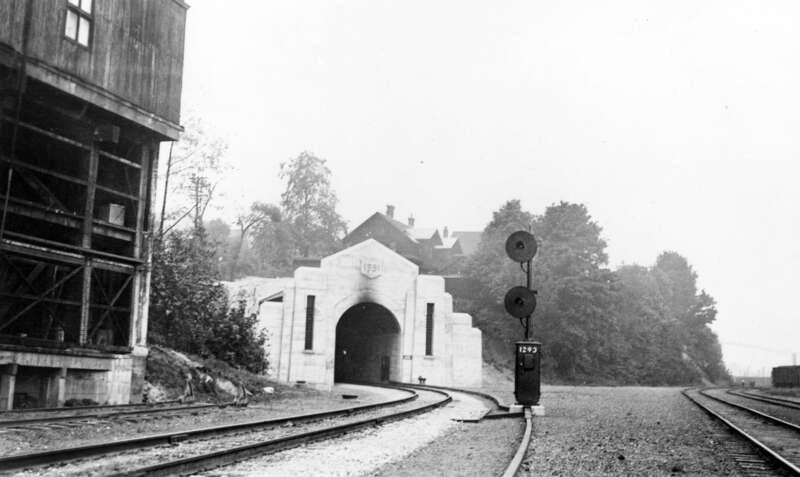 The tunnel will turn 77 years old on July 16th. That being said, the CPRail tunnel is not the only one in Vancouver. 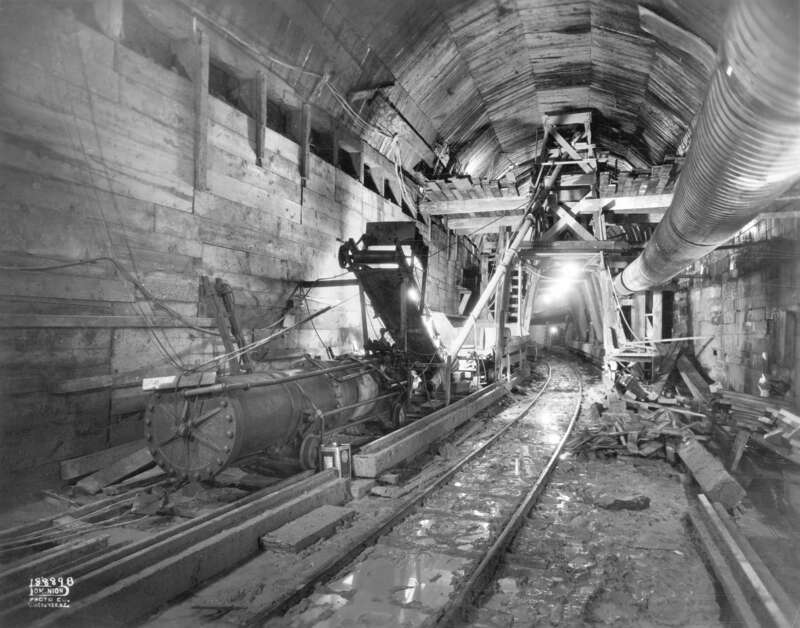 The Bank of Canada had a tunnel that ran under West Hastings Street to safeguard against robberies and Canada Post on Georgia Street also had a tunnel leading out to the CPRail tunnel. According to this document, Canada Post received a lease on the tunnel until December 15, 2055. As for the rumoured Chinatown tunnels, Vancouver History guru John Atkin as well as Chris Mathieson of the Vancouver Police Museum confirm they do not exist, contrary to popular belief. However there were a few basement passageways through walls that once connected gambling parlous and opium dens. Old steam tunnels also exist out at UBC. There are no current tours of the Canada Post tunnels that I am aware of although John Atkin would be the person to go to for this. I believe he used to run some tours down there and still does several history walks around town. You can follow this new series by using my new Readers Choice tag. Later this week I’ll answer questions about Point Grey, the Burrard Bridge, the former Japantown, the old ferry to Dundarave and more. Ever wonder where the trains that cross the rail bridge at Second Narrows go on the south side? Straight into the side of the hill, through the tunnel, emerging near Willingdon Avenue in Burnaby! While at WordCamp Vancouver, the Museum of Vancouver has a little exhibit of what Vancouver could have been. 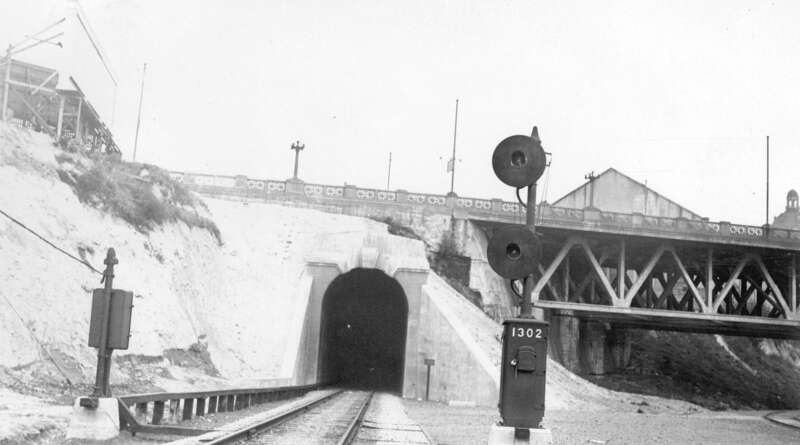 There was a plan to build a tunnel near the south side of Thurlow under the city towards Coal Harbour for cars to by pass the city onto the bridge that was wanted near Coal harbour/Brockton Point. I do know there are tunnels under VGH though used mainly to run back and forth between the three city blocks for emergency codes and service access etc. Is the Canada Post tunnel big enough to accommodate transit? If not, can it be used as a pedestrian walkway, with side-tunnels to Pacific Centre, Vancouver Centre, and SFU-Downtown? Re. the tunnel described by Derek K. Miller — I’ve often thought that would be an ideal route for a second West Coast Express service, from the VIA Rail station to the North Shore, Horseshoe Bay, and on to Whistler. I could be wrong, but are there not also steam tunnels in downtown Vancouver as well? I’m pretty sure they are similar to the one’s at UBC and happen to still be in use. The turnaround for North Shore trains heading downtown would be awkward, because the track from the tunnel at Second Narrows is designed for trains going or coming from the east, such as New Westminster, Surrey, or Mission. But with some switching it could probably be accommodated. You can actually go through one of the VGH tunnels from the main floor of the BC Cancer Agency. It’s not a long walk, but it definitely feels underground. And of course you could consider most of Pacific Centre one big tunnel. The tunnel under Canada Post is not open to the public or anyone for that matter because they are unsafe and also a security risk to Canada post. I used to work security many years ago and was able to walk the tunnel from the main post office to the end at CPR. It’s closed off and required us to sneak the key out of the lock box and go for it! Was well worth it!